Intense, immersive sound. Serious room-filling power. Three custom-designed drivers with dedicated amplifiers. Trueplay tuning delivers sound that’s true to the music and right for the room. The PLAY:3 uses three state-of the-art digital amplifiers individually coupled with three speakers to deliver great sound to any room. 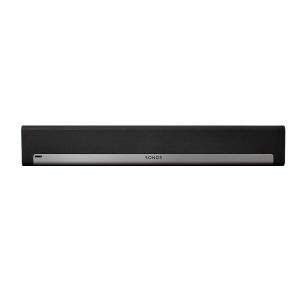 The wireless music system provides pure, clean sound that is perfect for bringing room filling music to a kitchen, bedroom, office, or just about any room in your home. A bass radiator produces powerful low notes while two mid-range drivers and one tweeter fills out the sound. State of the art, great sounding amplifiers that are light-weight, powerful and very energy-efficient in standby and use. One tweeter creates a crisp and accurate high-frequency response. Two dedicated mid-range drivers ensure the faithful reproduction of mid-range frequencies crucial for accurate playback of vocals and instruments. Turn two PLAY:3s into separate left and right channel speakers to create wider, bigger, and deeper sound. 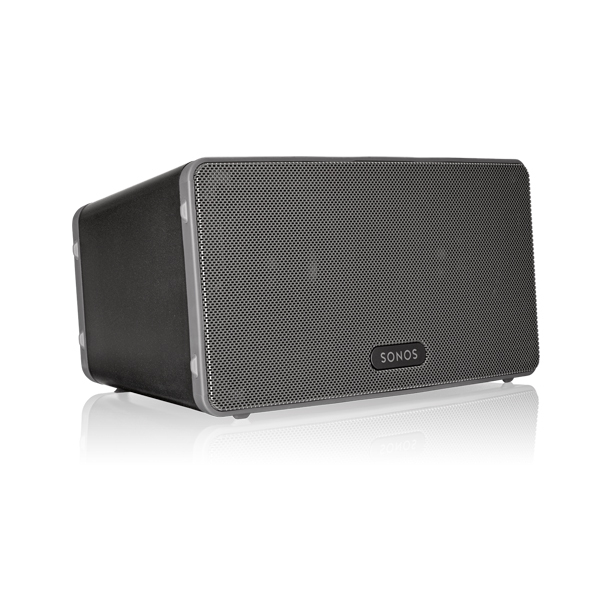 Add two PLAY:3 speakers to PLAYBAR and SUB for a true surround sound experience. All filter settings, active equalisation, and time-alignment are done in the digital domain through state-of-the-art DSP circuitry so there’s absolutely no loss of audio quality or energy. Trueplay measures the acoustics in any room – analyzing things like size, layout and furnishings. Then fine-tunes your PLAY:3 to make the music sound great, no matter where you place your speaker. When wirelessly connected to a BRIDGE, BOOST or another player, you can use the Ethernet port on the back of your PLAY:3 to bring standard Internet connectivity to your set-top box, DVR, PC, game console or network hard drive. If you have multiple music players, you can control what’s playing in any room from anywhere in your house. Sonos Controllers aren’t tied to a specific player, so you can use any Controller to control the music and the volume in all your rooms. Search for songs and stations, choose the music, and control the volume from anywhere in your home. The PLAY:3 can go anywhere, delivering music to any room in your house, wirelessly. Players and Controllers establish their own secure wireless mesh network that delivers the extensive range and superior performance you need to get music all over your house. No technical or wireless expertise required. 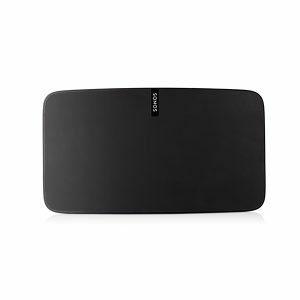 Put a PLAY:3 in any room where you want music and connect it to your home WiFi network using the free Sonos Controller App. 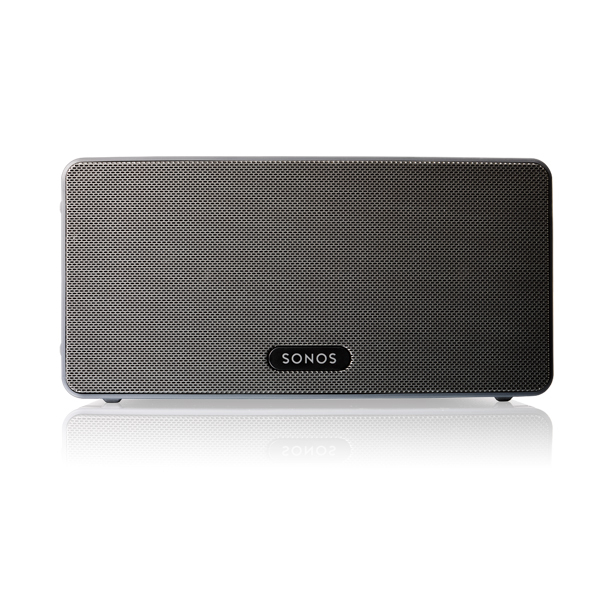 The Sonos System Setup software provides simple on-screen prompts on any Sonos CONTROL. With the touch of a few buttons, you’ll be playing music all over the house in minutes. Three Class-D digital amplifiers perfectly tuned to match the speakers and acoustic architecture. Three driver speaker system – one tweeter, two mid-range drivers, and one bass radiator. Each driver of the product is individually powered by a dedicated amplifier. Allows you to group two PLAY:3s in the same room with one PLAY:3 serving as the left channel and the other as the right channel. Support for compressed MP3, iTunes Plus, WMA (including purchased Windows Media downloads), AAC (MPEG4), AAC+, Ogg Vorbis, Apple Lossless, FLAC (lossless) music files, as well as uncompressed WAV and AIFF files. Native support for 44.1kHz sample rates. Additional support for 48kHz, 32kHz, 24kHz, 22kHz, 16kHz, 11kHz, and 8kHz sample rates. Note: Apple “Fairplay”, WMA DRM and WMA Lossless formats not currently supported. Previously purchased Apple “Fairplay” DRM-protected songs may be upgraded. 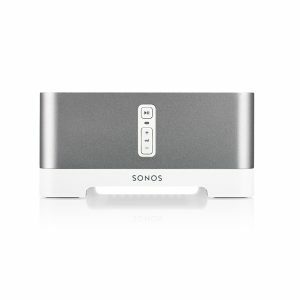 Sonos works seamlessly with most music services, including Pandora, Spotify, Deezer and SoundCloud. 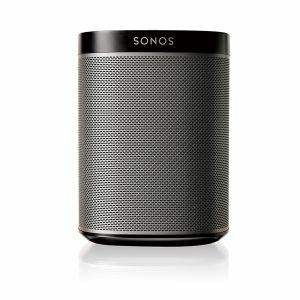 For a complete list, see http://www.sonos.com/streaming-music. 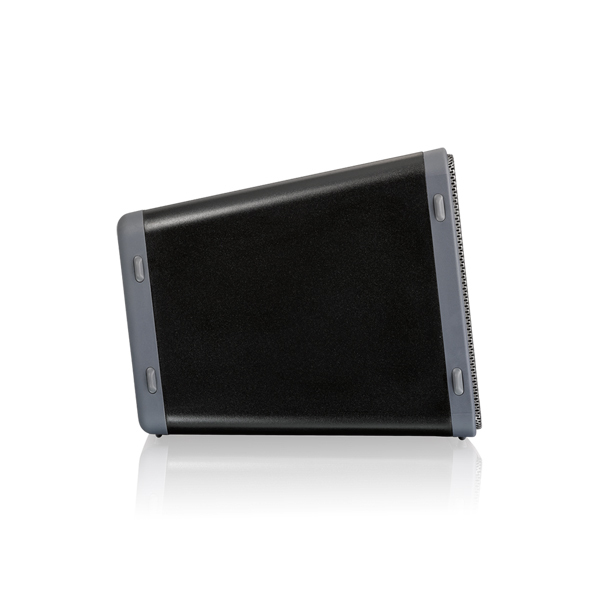 Works on your home WiFi network with any 802.11b/g, 2.4GHz broadcast capable router. Functions to extend and enhance the power of SonosNet 2.0. * Internet connection is required for access to Internet radio stations, online music services and software updates. (DSL, cable modem or LAN-based high-speed Internet connection is required.) Internet functionality may require payment of separate fee to a service provider; local and/or long distance telephone charges may apply.